The garage of a home is often a space that is overlooked when it comes to decorating; however, it is an area that is often used quite frequently. When a homeowner takes a bit of time and gives a little attention to the aesthetic value of their garage, then the space can be transformed into something that is very pleasing and functional to everyone in the home. If you are considering painting, and updating, your garage area, then we have some tips for you that may be useful. Continue reading to learn more about painting ideas for your garage. One of the main things that painting the walls of your garage can do for you, is to brighten up the place and provide a feeling of cleanliness and crispness. When choosing colors for your garage walls, the lighter the better, if you are aiming to create a space that it well-lit. Although white walls may be tempting, other light color choices, such as beige, gray, or an off-white shade, will hide scuff marks and dirt better than stark white walls. Light color choices are available in a wide range of colors and shades, so you may wish to do a little bit of investigating, in order to find the best color that will fit your needs and preferences. In addition to painting the walls of your garage, you may also want to consider painting garage cabinets, interior doors, or even the garage floor. Some homeowners decide to use a pop of interesting color for their garage cabinets or interior doors. By mixing accent colors with the more basic wall color choices, you are able to add some character to a space that is normally known as being a pretty plain part of the home. Some homeowners also enjoy painting the floors of their garage, which adds a higher level of decorating for the garage space. 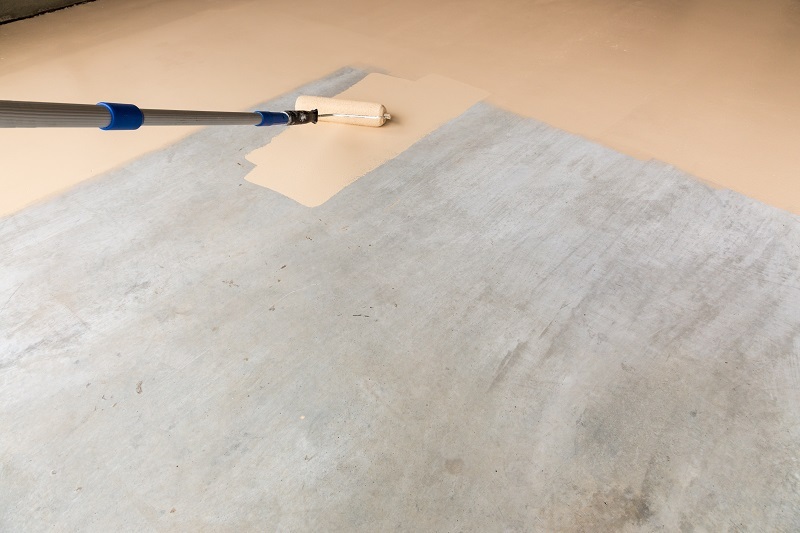 Often, a speckled choice of a durable floor covering is the best choice, as it helps to cover up dirt/dust particles that are often noticeable across garage floors. The paint and decorating options are boundless for the creative property owner that wishes to make a statement and create a unique area of their own. The garage area, specifically, offers a person a room that they can be creative and make that area a useful, pleasing, functional space for all to use and enjoy.